Lester was just your average well-loved, housebound house cat. He enjoyed eating, playing with his favourite toys, and looking out the window—watching the other animals play in the grass. He was also a bit of a giant, with long grey hair and big green eyes that looked like olives, and his long fluffy tail twitched when he wanted to play with the animals out the window. Oh, and he had a mysteriously missing ear tip. Then, one day, his pampered lifestyle completely changed, when Lester took the chance to step outside and go on an adventure. So begins Lester’s Great Adventure. But while having the time of his life—encountering the sights and smells of the outside world—Lester gets lost. Disoriented as he runs from a loud noise, he hides under a deck, venturing out only to encounter noisy kids playing hockey on the street, and retreating back under deck. Will Lester find his courage and his way home? Will his owners help to rescue him? And if he does make it home, will he even be happy to see Tess, his owners other cat, who never wants to play with him? 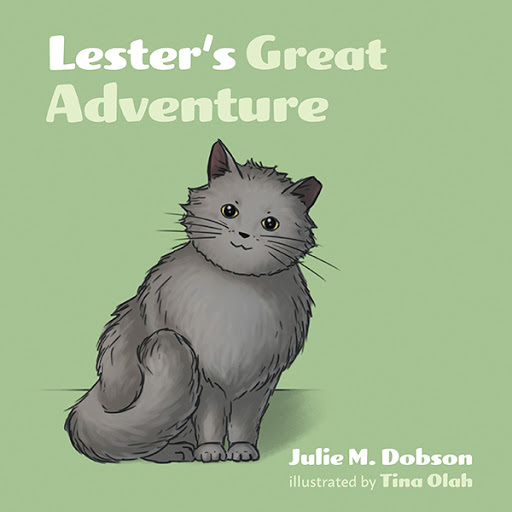 Based on a true story, Lester’s Great Adventure follows an ordinary giant house cat who journeys out on an adventure only to find himself lost and unable to find his way home. Written for children aged seven years old and younger, Lester’s Great Adventure shows young readers how sometimes you have to take a chance and be brave, and sometimes we all need a little help to find our way.